But that belated disclosure didn't do much to quell the rumors that long have swirled around Area 51. In the murky world of Internet bulletin boards, late-night call-in AM radio programs and TV and movie science-fiction fantasies, it's long been assumed to be the place where government researchers reverse-engineered captured alien spacecraft, tried to clone extraterrestrials, and filmed the fake moon landing in 1969 [source: Day]. The government, as you might expect, did not confirm any of that. 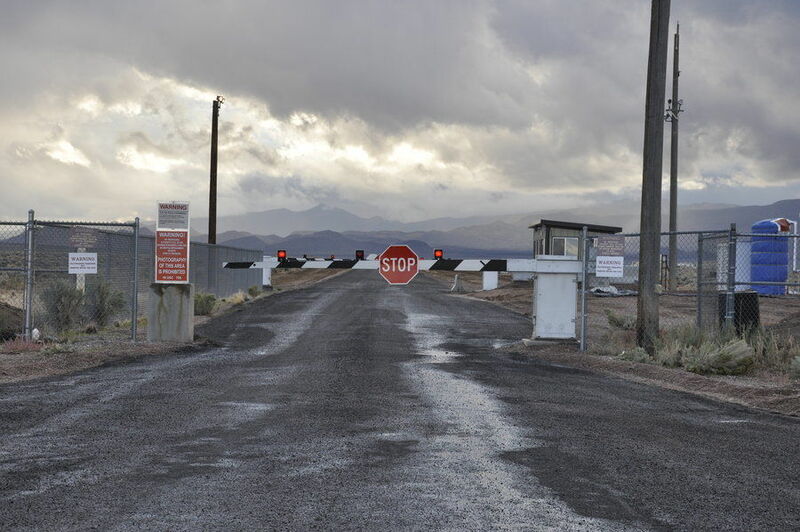 "Area 51 is a riddle," author Annie Jacobsen wrote in a 2011 book on the secret installation. "Very few people comprehend what goes on there, and millions want to know." 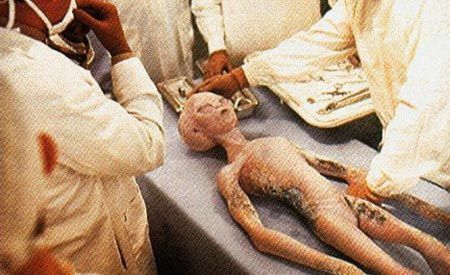 In this article, we'll look at what's known about Area 51, as well as what's suspected, and try to piece together as much as we can. 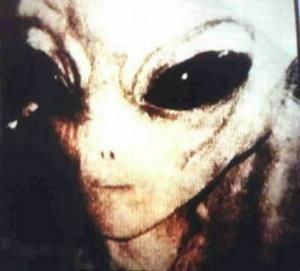 Remember, as they used to say on the classic TV show "The X-Files," the truth is out there. With all the secrecy shrouding Area 51, it's time for some light to be shed. Learn more about the nicknames, entertainment, food, spy planes, and rumors surrounding this infamous site. On August 15, 2013 the CIA finally acknowledged the existence of Area 51. After repeated freedom of information request made by George Washington University the CIA lifted the veil of secrecy on Area 51. On December 8, 2013 President Obama makes an off hand comment about Area 51, becoming the first President to publicly acknowledge its existence. This does not mean they are talking openly about UFOs and military secrets but it does open the door for lawsuits and additional freedom of information request from the public. 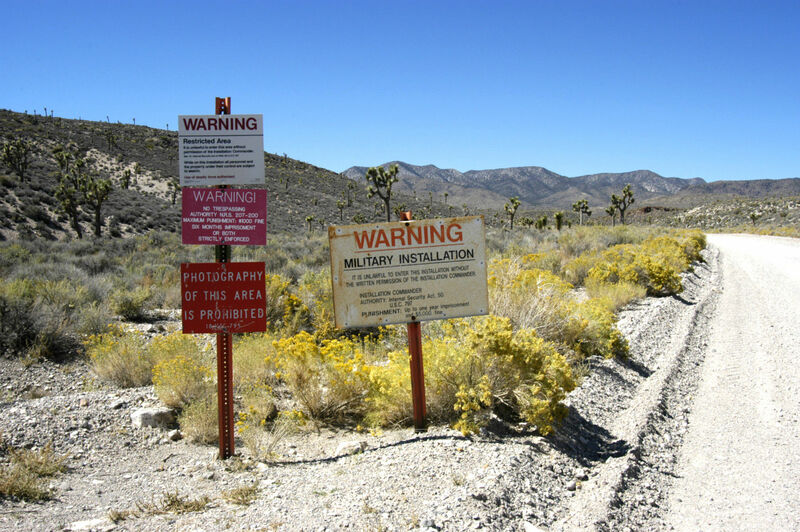 The name ‘Area 51’ derives from its marking on 1950’s Nevada Test Site maps. 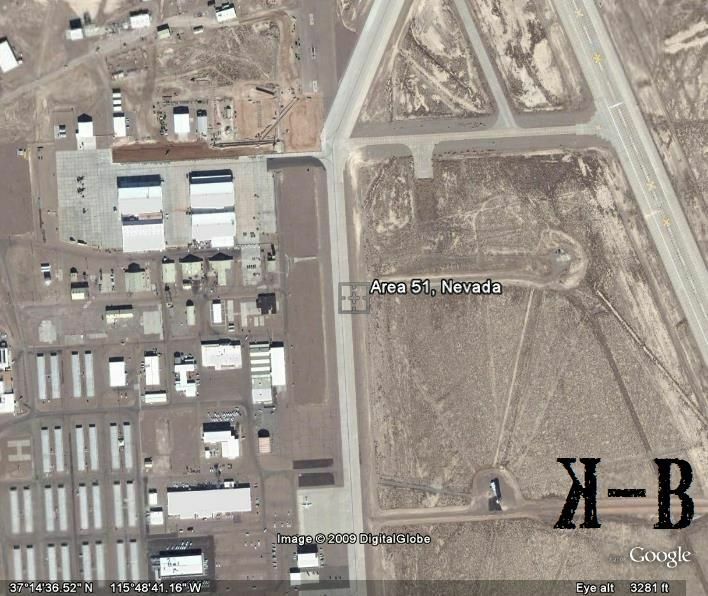 Today, the official name of Area 51 is Air Force Flight Test Center, Detachment 3, or AFFTC Det. 3 for short. For years even our own government denied its existence until Soviet pictures confirmed what many knew all along. The base did exist. The facility was originally designed for the testing of U-2 spy planes, and ultimately Stealth technology would be born there. The secret site has grown to many times its original size. The USAF took over command of Area 51, and its airspace in 1970. 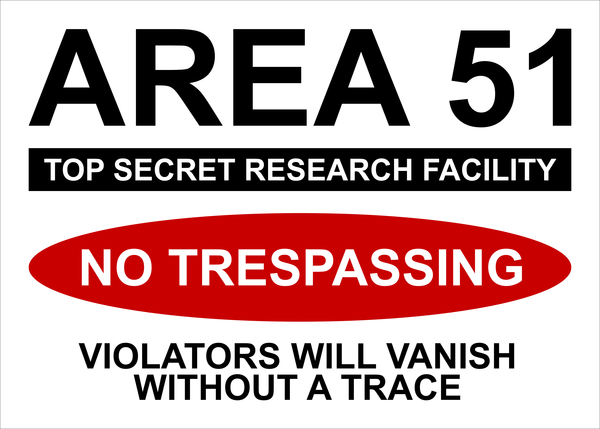 Area 51 was also referred to as Groom Lake (the name of the dry lake Area 51 was built around), Paradise Ranch (a half-serious way to entice employees to accept positions at the remote, rustic base), Watertown (the official name of the test site, given in 1956), and Dreamland (after an Edgar Allan Poe poem). The first known use of the area was the construction in 1941 of an auxiliary airfield for the West Coast Air Corps Training Center at Las Vegas Air Field. Known as Indian Springs Airfield Auxiliary No. 1, it consisted of two dirt 5000' runways. Under President Dwight Eisenhower the Groom Lake facility was put in the hands of the CIA for Project Aquatone, for the development of the Lockheed U-2 reconnaissance aircraft in April 1955. This mysterious fortress and its surrounding grounds are strictly off-limits. What secrets are kept inside this highly guarded facility? The rumors abound. Yes, there have been pictures of craft doing amazing maneuvers over these guarded skies and pictures and video smuggled from inside have become legend. These smuggled articles show living and dead aliens, spacecraft of futuristic design, but still the government denies these claims. Helen Frost, whose husband Robert died in 1988 from the fumes, filed a lawsuit against the government in 1996 but the case was dismissed by the judge because the government could neither confirm nor deny the allegations, and it was also stated that the base is exempt from any environmental laws. 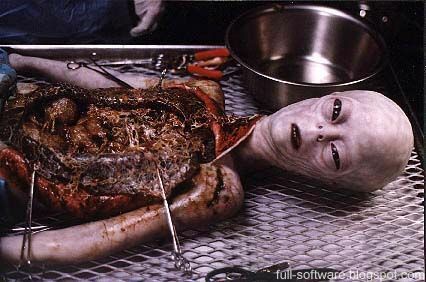 During the 70's and 80's the workers at Area 51 were exposed to jet fuel toxins like JP7. Supposedly old computer parts were also burned in trenches. The workers were ordered to go into the trenches and mix up the material and were only allowed to wear protection up to their waist. When Area 51 was chosen as the testing site for the A-12 OXCART, a new, 8,500-foot runway had to be built. So as not to draw attention, contractors worked under cover of night. Flying at 2,200 mph, it took OXCART pilot 186 miles just to make a U-turn. To accommodate the plane, an additional 38,400 acres of land around the base had to be withdrawn from public access and the restricted airspace expanded to create a 440-square mile box. Early on, the only entertainment at Area 51 consisted of a single cement tennis court and a small bowling alley. There was no television, and radio signals only made it through the surrounding mountains in the evening. The Area 51 mess hall sometimes served lobsters and oysters. Once a week it was steak night. There is a sliver of truth to the conspiracy theory that the moon landing was staged at Area 51. Various space equipment – including land rovers and life support systems – were tested by the astronauts at the adjoining nuclear testing grounds. Area 51 has not been spared by the downturn in the economy, it is estimated that there are 1600 to 2000 employees working at the military facility involving at least a dozen defense contractors as of 2013. This is down by 200-400 employees since 2012. 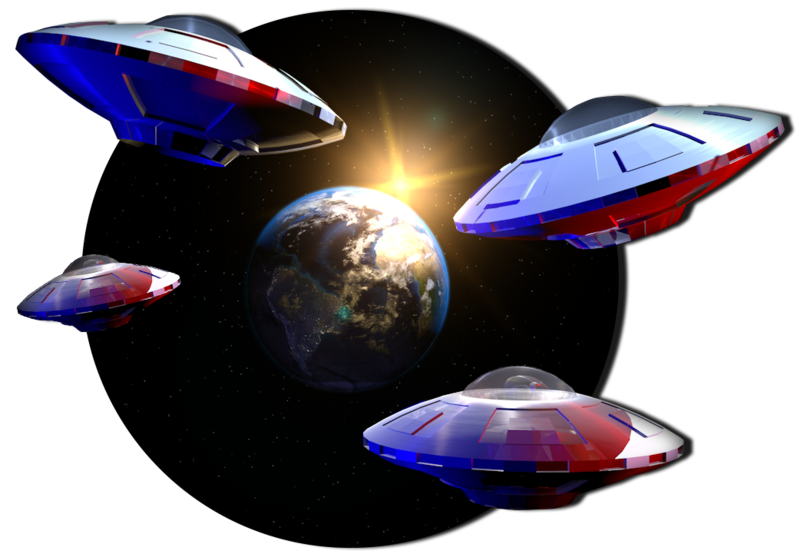 A recent poll showed that 70%+ of Americans believe that UFOs are real. 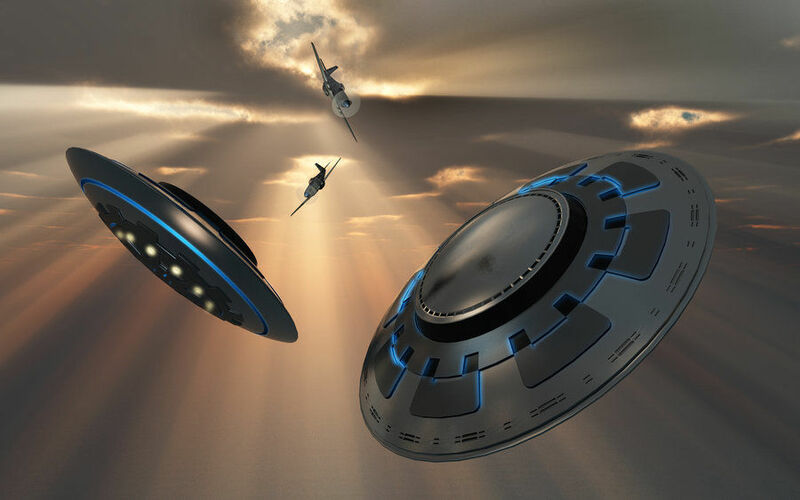 After an increase in UFO sightings in 1952, the CIA concluded that “there is a remote possibility that they may be interplanetary aircraft,” and that it was necessary to investigate each sighting. Over half of all UFO reports from the late 1950s through the 1960s were accounted for by manned reconnaissance flights (namely the U-2) over the United States, virtually all originating from Area 51. The A-12 OXCART required special fuel in order to fly at such extreme speeds and heights. The fuel was made to withstand extremely high temperatures and would not ignite even if someone threw a match into a barrel full of it. The OXCART cruised at 2200 miles per hour, but because the plane was secret it was kept out of official speed competitions. The A-12 OXCART consisted of more than 90% titanium. It was the world’s first titanium plane. An A-12 spy plane was used when the USS Pueblo was captured by North Korea to photograph the area and determine the ship's location. The OXCART's engines acted as vacuum cleaners, sucking up any debris left on the runway. So personnel would vacuum the runway before each test flight. The Air Force has acknowledged the existence of the Nellis Range Complex near the Groom Dry Lake for many years now. There are a variety of activities, some of which are classified, throughout the complex. The range is used for the testing of technologies and systems training for operations critical to the effectiveness of U.S. military forces and the security of the United States. Some specific activities and operations conducted on the Nellis Range, both past and present, remain CLASSIFIED and cannot be discussed. Suspended upside down, a titanium A-12 spy-plane prototype is prepped for radar testing at Area 51 in the late 1950s. But pushing the limits came with risks—and led to the catastrophic 1963 crash of an A-12 based out of Area 51. After a rash of declassification's and the acknowledgement of the existence of Area 51, details of Cold War workings at the Nevada base, are coming to light—including images of an A-12 crash and its cover-up pictured publicly for the first time in May. 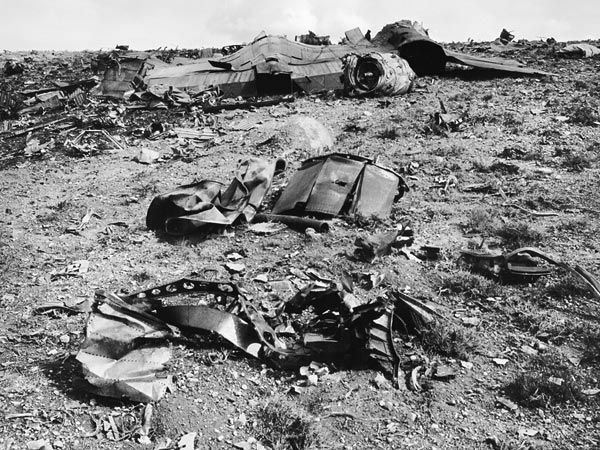 Remnants of a crashed A-12 spy plane—including two engines and the shattered rear fuselage—litter the ground near Wendover, Utah, in a 1963 picture recently declassified by the CIA and published here for the first time. After pilot Ken Collins had parachuted to the ground, he was stunned to be greeted by three civilians in a pickup, who offered to give him a ride to the wreckage of his plane. Instead, Collins got them to give him a ride in the opposite direction, by telling them the plane had a nuclear weapon on board—a prearranged cover story to keep the Area 51 craft a secret. Nearly undetectable to radar, the A-12 could fly at 2,200 miles (3,540 kilometers) an hour—fast enough to cross the continental U.S. in 70 minutes. From 90,000 feet (27,400 meters), the plane's cameras could capture foot-long (0.3-meter-long) objects on the ground below. You won't find it on any geological or aeronautical maps and yet like a place in the Twilight Zone, flights to it leave Las Vegas' McCarran Airport every day. Some say alien aircraft are stored there and reverse-engineered to create new aircraft and weapons, or it's the site of genetic testing or other diabolical plots. Others say it's just a very secret aircraft development site. 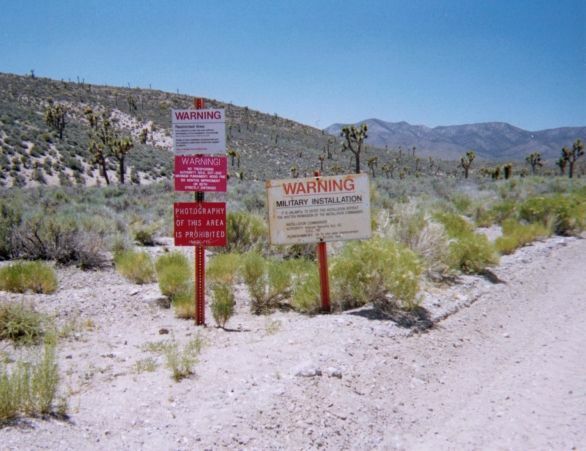 No matter, what it is, Area 51 remains shrouded in mystery. Events at Area 51 from Construction to Today! 1950's - due to fear of Russian planes and nukes, the CIA and Air Force teamed up with Lockheed Martin’s “Skunkworks” division to produce a high-altitude reconnaissance plane to spy on the Russians. They chose a location away from prying eyes. The first airstrip at Groom Lake, the eventual site of Area 51, cost a mere $832,000. 1957 - The AEC (Atomic Energy Commission) distributes "Background Information on Nevada Nuclear Tests" to the press. 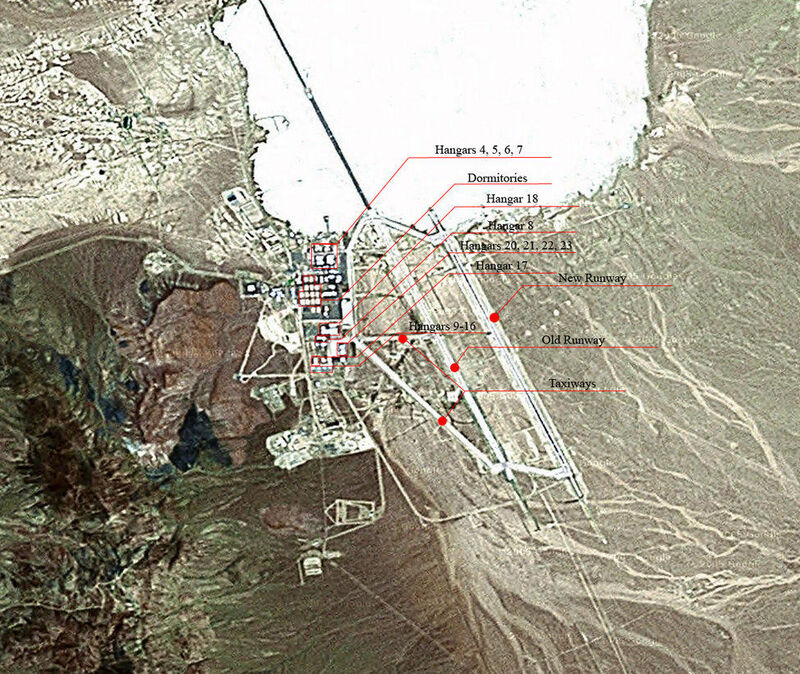 The booklet describes a small base at Groom Lake called the Watertown Project. The booklet claimed the facility was part of a project to study weather. 1959 - They started builting a radar cross section (RCS) to study the radar signature of mock-up designs for the next reconnaissance plane. Full-scale models were tested on a 50-foot pole, built out of welded together destroyer propeller shafts. 1960 - Fancis Gary Powers’ U-2 was shot down over the United Soviet States of Russia (USSR). Project Oxcart began in order to design the A-12 a precursor to the SR-71. 1961 - The restricted airspace expands upwards, but not outwards -- it measures five by nine nautical miles in size, but extends up to space and is designated R-4808. A year later, the Department of the Air Force expands the space again, but this time the perimeter grows to 22 by 20 nautical miles. This forms the "Groom Box," or just "the Box," as it is known today. No flights, whether commercial or military, are allowed in the restricted space (except the test flights from the base itself). 1962 - The first A-12 arrives at Groom Lake. The first test flight takes place two months after the aircraft's arrival to the base. CIA pilots arrive at the base nearly a year later to begin flight training. 1967 - The first Mig 21, a Soviet aircraft, arrives at Groom Lake. Officials name the testing program of Mig aircraft "Have Donut." 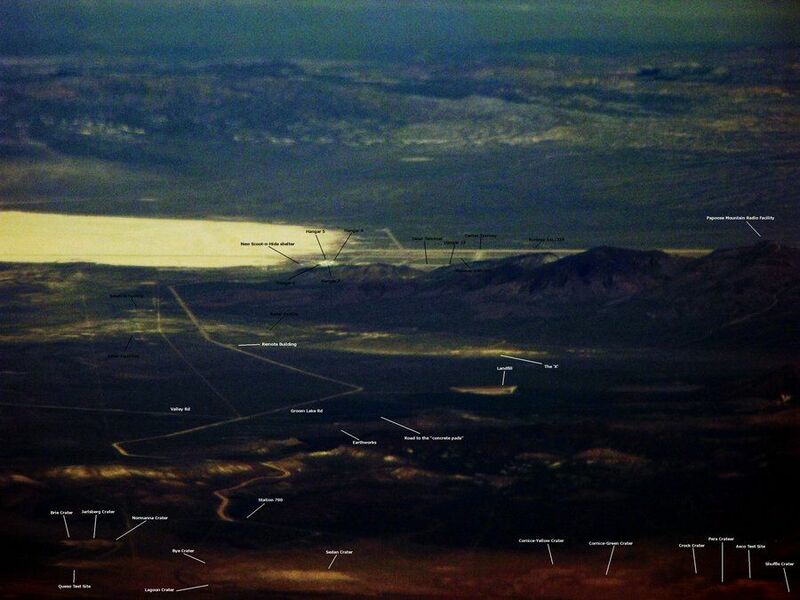 Some pilots begin to call the restricted air space above Groom Lake "Red Square." 1970 - Area 51 also hosts a very important project for the military. Since the 1970s, the U.S. Air Force has been testing the capabilities of Russian and foreign aircraft at Area 51 in mock dogfights. This continues today. 1977 - Years before the public became aware of the Stealth Fighter, the first F117 prototype arrives at Area 51. It's called the "Have Blue." That same year, the United States Geological Survey takes an aerial-photo of the base. The photo appears in numerous publications and is available until 1994, when the government withdraws it from release. 1982 - The first flight of the vehicle known as "Tacit Blue" takes place at Groom Lake. Like the F-117A, Tacit Blue is a stealth vehicle. 1984 - The base petitions for an additional 89,000 acres of land to increase the size of restricted space around the facility. 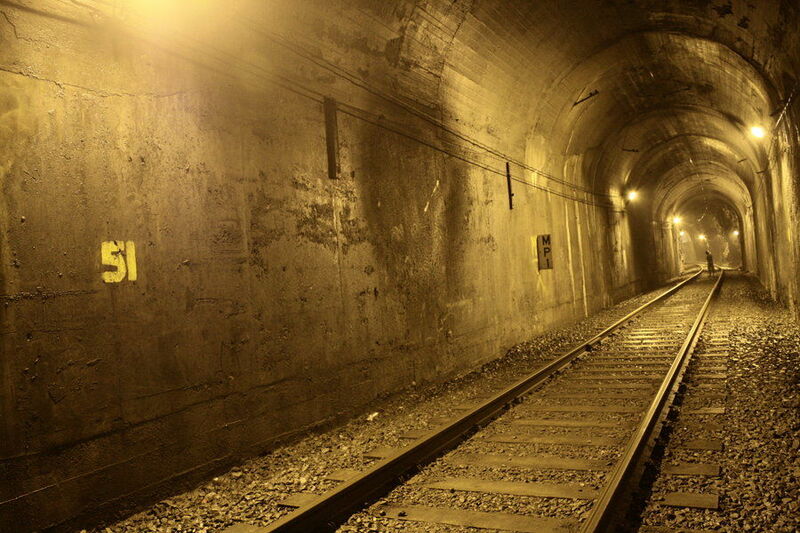 Guards had previously discouraged the public from entering this area before it was officially withdrawn, raising concern and criticism from locals and tourists. The request is ratified by Congress three years later. 1988 - A Soviet satellite photographs Area 51. "Popular Science" runs the photograph, giving most U.S. citizens their first chance to glimpse the secret base. That same year, Robert Frost, a civilian employee at Area 51, dies. An autopsy shows that his body contained high levels of dangerous chemicals like dioxin, trichloroethylene and dibenzofuran. His widow, Helen, files a lawsuit against several government officials, claiming her husband died as a result of exposure to dangerous chemicals. 1989 - Robert Lazar appears on television and claims to have worked on reverse engineering alien technology at a site not far from Groom Lake. 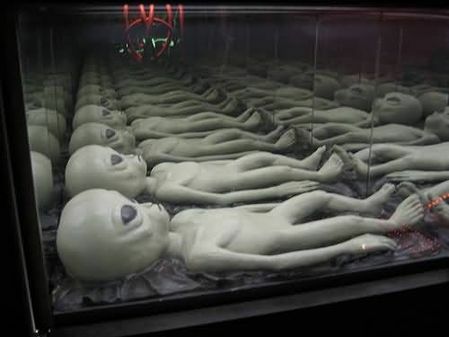 1995 - Area 51 acquires two locations popular with tourists and curious locals. Freedom Ridge and White Sides Peak. President Clinton signs an executive order exempting Area 51 from legislation and investigation in order to preserve national security. 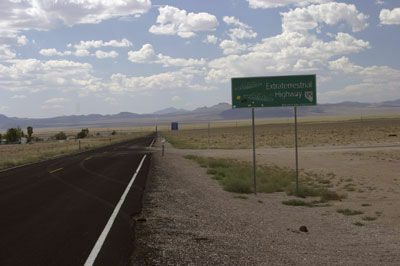 1996 - Nevada names Route 375, formerly known as the "loneliest highway in America," the "Extraterrestrial Highway." Skeptics around the world groan in unison. 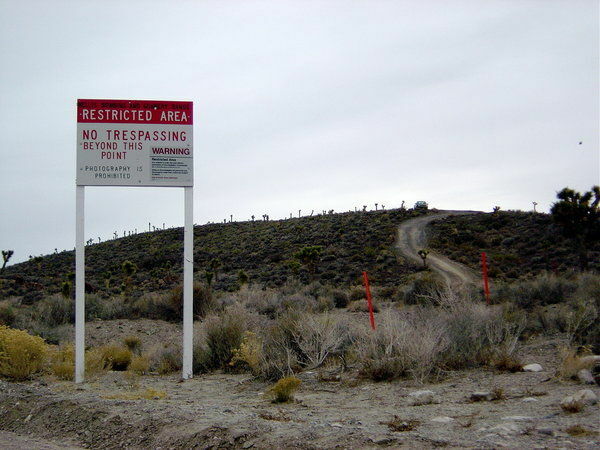 1997 - Area 51 is declassified, though all operations at the facility are still kept secret. 1997 - Lt. Col. Philip Corso is interviewed on both radio and television saying that rumors swirling around Roswell are in fact true. He claims that the the US government developed technologies from artifacts collected from down space craft. These include (but are not limited to) lasers (particle beams), bullet proof material (kevlar), integrated circuits, fiber optics, night vision instruments,etc. 2007 - It appears that crews are building a new hangar, much larger than the existing hangar. One Web site claims the hangar's size to be 200 by 500 feet and 100 feet tall. 2011 - Annie Jacobson writes a best seller (Area 51, an Uncensored History) theorizing that Stalin sent grotesque, child-size aviators bred as horrific human experiments to Area 51 for the express purpose of sending the United States into a panic. 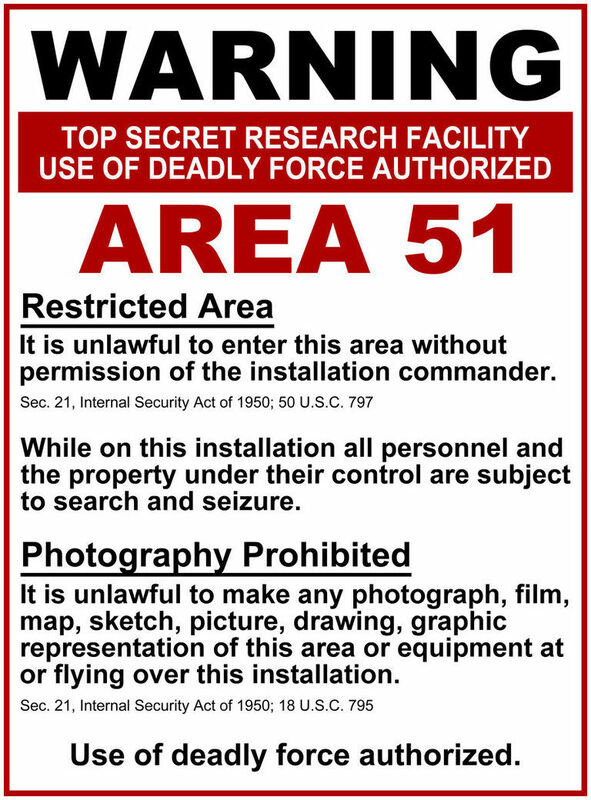 2011 - Experts speculate that all the sensitive material and most of the operations have been move to what is now dubbed Area 52, the Dugway Proving Grounds. 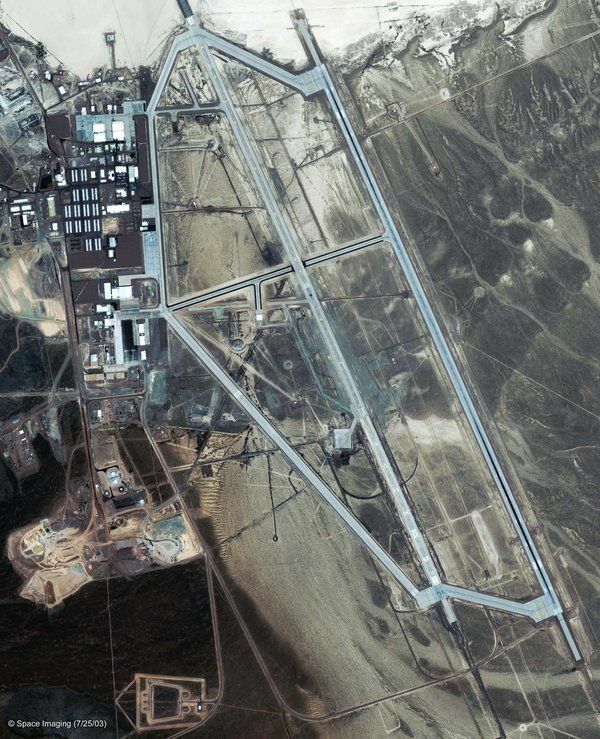 2013 - It is estimated that there are between 1600 - 2300 employees currently working at Area 51. The majority are military personnel, government employees and government contractor. 2013 - Through the efforts of Georgetown University, Area 51's the location and existence become declassified. Make no mistake, much of the activity is still very classified. 2013 - President Obama becomes the first US President to openly mention and acknowledge Area 51 publicly. 2014 - Area 51 starts to restaff at levels that have not be seen for several years. 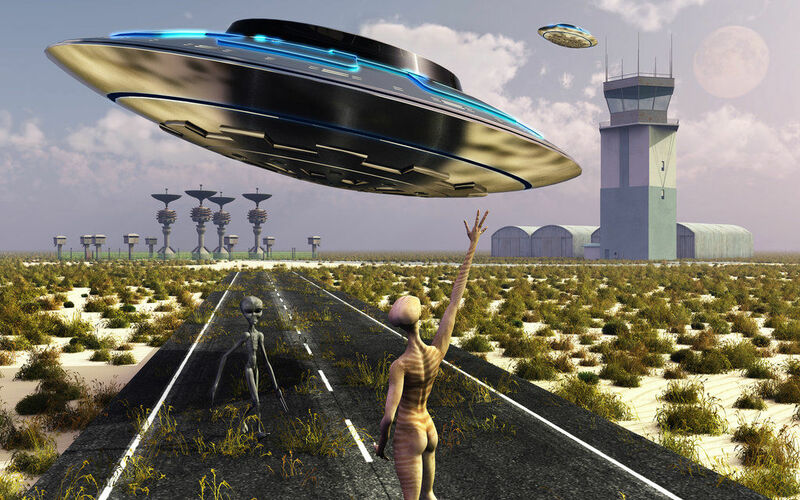 This site is designed to give you an analytical look at the events, the people, and those that have brought us the story of the famous Roswell UFO incident. The City of Roswell invites UFO enthusiasts and skeptics alike to join in the celebration of one of the most debated incidents in history. The three-day event will feature guest speakers, authors, live entertainment, a costume contest, a pet costume contest, parade, family-friendly activities and more. 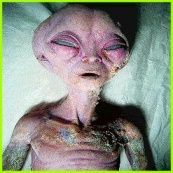 This website helps you explore the famous Roswell UFO Incident, as well as other UFO incidents and sightings. 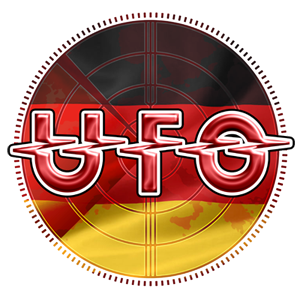 The site also contains links to UFO researchers and related information. 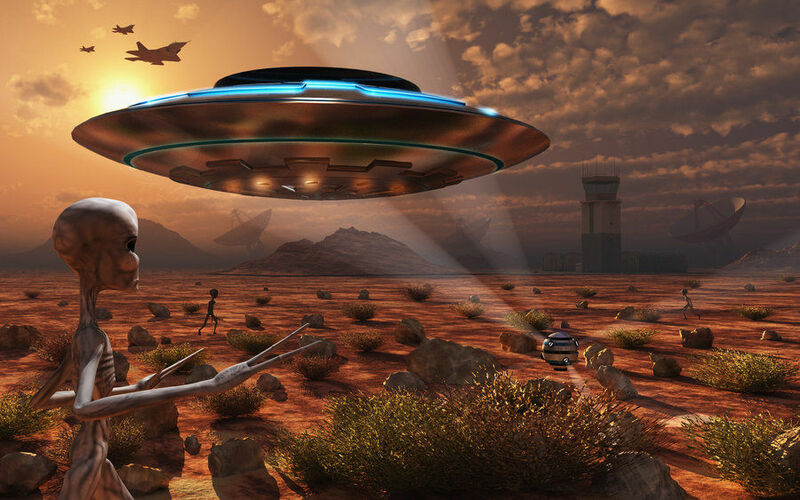 Offers tours where you can discover the 1947 UFO crash, retrieval, and cover-up at the actual locations where the events occurred in Roswell, New Mexico. 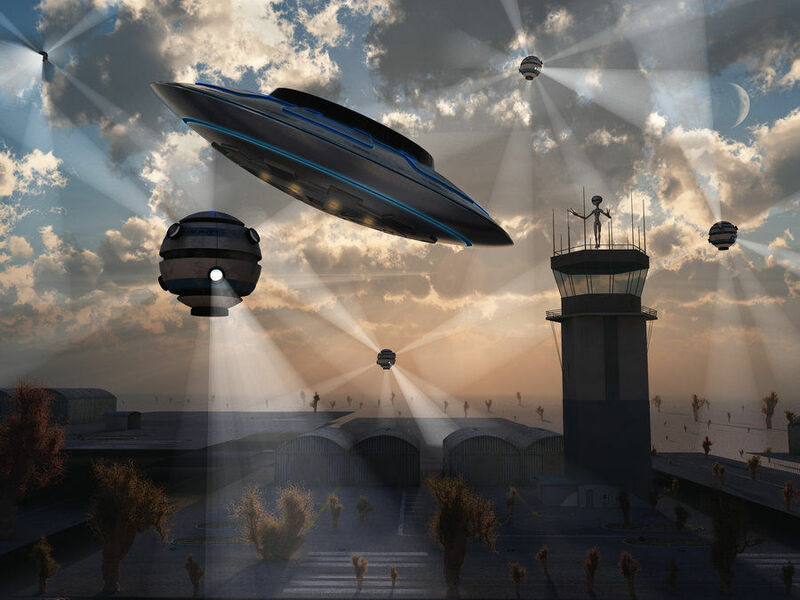 Features a comprehensive collection of FOIA Documents, research papers, and articles on UFO, Paranormal, and Government Secrecy including Area 51 and Roswell. Heute waren schon 33870 visitors (72216 hits) hier!